Express Employment Professionals is a leading staffing provider in the U.S., Canada and South Africa. Why? Because every day, we help job seekers find work and help businesses find qualified employees. Express Employment Professionals puts people to work. The company generated $3.05 billion in sales and employed a record 510,000 people in 2016. Founded in 1983, Express has nearly 800 franchise locations worldwide. Our long-term goal is to put a million people to work annually. The heart of our company's vision is to help as many people as possible find good jobs by helping as many clients as possible find good people. 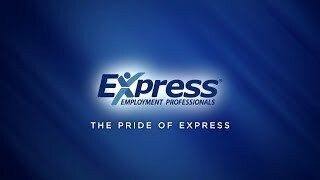 Express Employment Professionals in Spokane, Washington, has grown with our community and has been helping to build bridges between Job Seekers and Employers in Spokane County since 1994! We are in the business of people and our job is to give people hope that they can find success in their careers. We have the perfect combination of diverse resources and our local Express family that works with you every step of the way. We are a locally owned staffing agency, which means we have a vested interest in the success of Spokane County residents and the businesses located here. Your Spokane Express office understands the staffing needs of the companies we support. By choosing Spokane's Express office, you are choosing a staffing agency that will personalize your experience every step of the way. You get the benefits of a local business along with those of an agency backed by an international employment organization. The team at the Spokane Express office makes our staffing agency stand-out by closely working with each of the local businesses we support. within your business with the most qualified candidates. To ensure each candidate we place is the best for the job, we screen each through a process that is ISO 9001:2000 certified. This multi-step process involves interviews, skills evaluation, reference and previous employment checks, and information verifications. This process and our team’s attention to detail help our agency to provide the most skilled staff so that you stay operating at your best. the Spokane Express office is a staffing agency invested in helping you find future success. communications training, safety education, and other resources that will help you become an irresistible hire to local businesses. perfectly fit their company, the Spokane Express office is the staffing agency for you. Call us today at (505) 747-6011 for more information on the ways we can work together to help you.